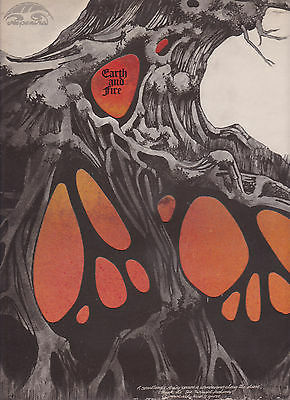 EARTH AND FIRE original LP. NEPENTHA 6437004. Stunning M-/M- copy of a rare PROG/PSYCH early 70S LP! Doubt you'll ever see a better one! NOTE: I am an experienced collector/dealer of 30 years experience. Conservative grading, bid with confidence! SHIPPING: US Postal Service. 4.00 media mail in the USA. Warning: Overseas shipping is 60.00 via Priority Express International. Full value is declared and fully insured.